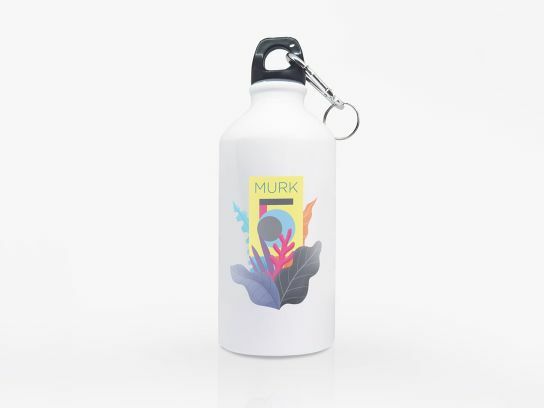 Thanks to the white base colour, with a special finish for sublimation printing, you can give free rein to your creativity on this aluminium drinking bottle. Colourful designs and logos are particularly effective and attract attention to your brand. Due to the practical clip, the drinking bottles are especially popular for sports. Give your customers a promotional gift that is good for the environment and helps to save countless plastic bottles.